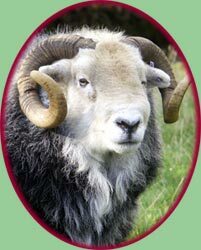 Hello, my name is Hereward and I am the mascot of Herdwick Landscapes. 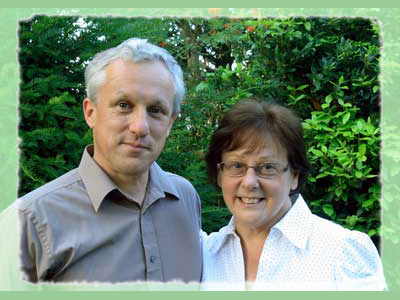 Let me tell you about Peter and Kate, the couple who run this little dolls’ house company. Both of them have had a long association with the Lake District. Peter first came here at the age of seven and apart from a gap of a few years when he was at university, has been coming to the Lake District ever since. When they married, Peter and Kate spent their honeymoon in the Lake District. 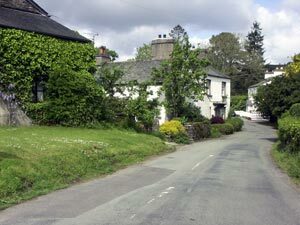 Eventually, they were lucky enough to be able to buy a holiday home on a quiet farm to the east of Windermere. Since then they have spent much of their free time there. In 2007 the opportunity arose for them to start a joint business making distinctive dolls houses and period furniture inspired by the Lake District. That was when they met me and adopted me as their mascot. They felt a unique sheep would be the ideal logo for a unique brand of dolls’ houses. These days it’s not just all about making Lake District houses and furniture; they have become specialists in bespoke dolls house commissions as well. So, if you want that model house that’s going to be unique and treasured for generations to come then be sure to get in touch with them. Kate has always been interested in the dolls house hobby and for many years has been restoring and making furniture for her own houses. Peter has been a keen model-maker all his life and the transition from ships and tanks to dolls’ houses has proved to be a surprisingly natural one. 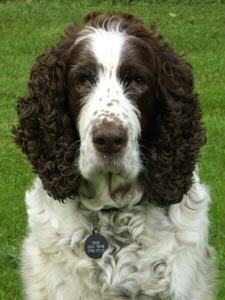 When in the Lakes, they do a lot of walking with Chloe, their English springer spaniel. They also spend time carrying out research into the local architecture for their next dolls house project. So, they happily combine both work and pleasure in this remarkably beautiful landscape, and never cease to be grateful for their good fortune. and will be pleased to discuss any special commissions. Alternatively, why not come and say hello at one of the dolls house fairs they will be attending this year?